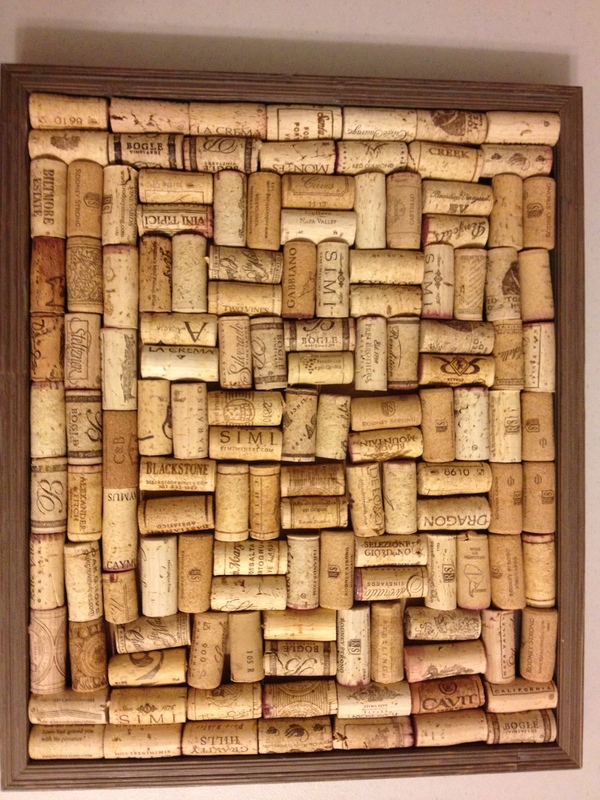 I made this framed wine cork trivet/tray/wall hanging. I saved every cork of every bottle we ever drank. I dumped the plastic ones and just used real cork.. I think it looks pretty cool.. And it brings back wonderful memories but also breaks my heart.. 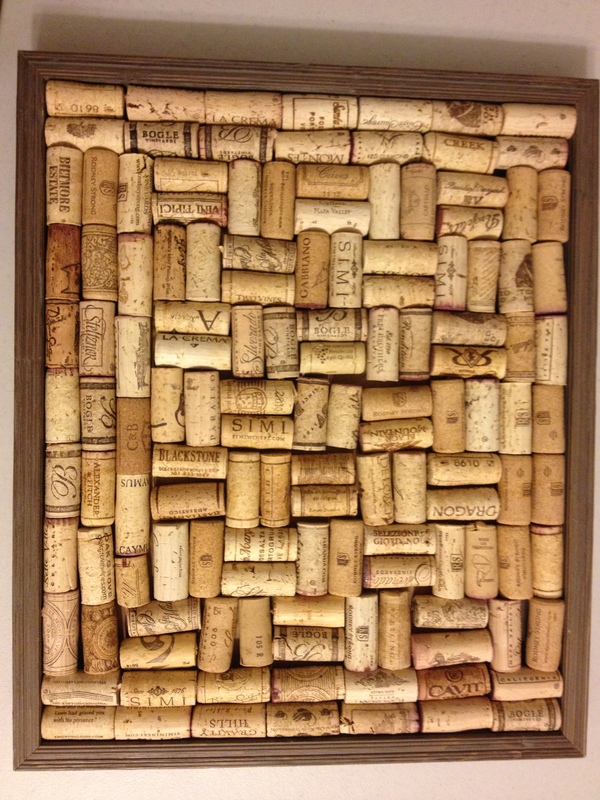 This entry was posted in Decorating, Dining room, Family Room, Kitchen, This and that.. and tagged tray, trivet, wine cork tray, wine corks. Bookmark the permalink. One Response to In honor of my dear wonderful husband..
Jane! Glad to see you back here again! I love this idea, kudos to you for finding a nice way to save those precious memories.